Sarajevo, 05.03.2013. 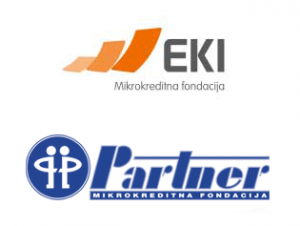 – As a response to challenges and need for consolidation of microfinance sector, Microcredit foundation LOK (MCF LOK) from Sarajevo and Microcredit foundation Žene za žene International (Women to Women) Sarajevo (MCF ŽŽI) have merged. MCF LOK is among the leading microcredit organisations in BiH for five years and it builds its image at the market with continuous satisfaction of clients, improving quality and wider access to its offer to a highest possible number of residents, while MCF ŽŽI is desiccated to and supports women entrepreneurs. These two microcredit foundations are among the first ones to recognize significance of the sector stabilisation and their own interest in merging of microcredit organisations, members of the Association of Microfinance Institutions in BiH (AMFI).MCF merged with MCF LOK based on their own skills and strengths, which represents a significant step forward with regard to stereotypes in understanding the merging process. “Situation at the market is very turbulent and full of challenges. 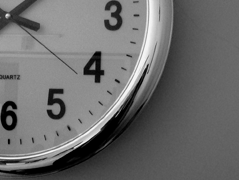 Managers are requested to constantly monitor and analyse the market, bring the right decisions and undertake risks. Business policies needs to be continuously adjusted to demanding and difficult economic situation in the region,” stated Nusret Čaušević, LOK MCF Director. He further adds that “for these reasons, MCF LOK management reached strategic decision on merging, with primary goal of strengthening the basic capital, stability and portfolio quality, in order to offer more favourable and better quality services to our clients and to the whole community”. “Consolidation of microcredit sector in BiH is necessary, but also inevitable, primarily in order to improve efficiency in foundations’ work. In choosing MCF LOK, MCF ŽŽI got a reliable partner that took over responsibility for continuation of financing women entrepreneurs with more possibilities and with significant improvement in set of credit products and services comparing to the earlier offer of the MCF ŽŽI,” stated Seida Sarić, MCF ŽŽI Director. MCF LOK, strengthened with association of the colleagues from MCF ŽŽI, will work with even more dedication and professionalism in the coming period and be of service to more than 25,000 clients throughout BiH. This way represents a direct contribution to creation of better life conditions for economically and socially endangered categories of population, in rural and urban areas. Detailed analyses made by the experts from these two microcredit foundations, as well as efficient and successfully completed merging process clearly indicate long-term positive effects. Strengthened MCF LOK can now expect with confidence better access to financing sources that it use to have. “Merging of these two foundations can serve as example of progressive step forward in concentration of microfinance sector in Bosnia and Herzegovina”, emphasized Dragana Mehmedović, AMFI Secretary General.